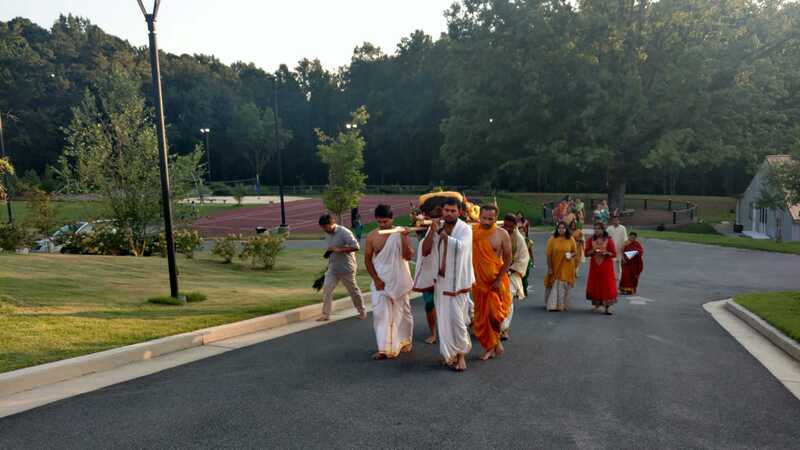 Atlanta, GA, September 6, 2018: The Ananthaadi Raayara Matha of Atlanta (RAMA) celebrated the 347th Aaradhana of Shri Raghavendra Swamy with much élan at Radha Madhav Society in Yugal Kunj this August 26th. Shri Raghavendra Swami is a 16th century saint and a prominent guru of the lineage of Madhwacharya. Each year, the day he entered Jeeva Samadhi at Mantralayam and believed to live in a metaphysical form for 700 years, is observed as the Raghavendra Aaradhana. Aaradhana is celebrated on the second day during the Shukla Paksha in the month of Shravana, as per the south Indian calendar. Generally, it is three-day celebration, the first day known as Purva Aradhana, the second day, Madhya Aradhana and the third, Uttara Aradhana. 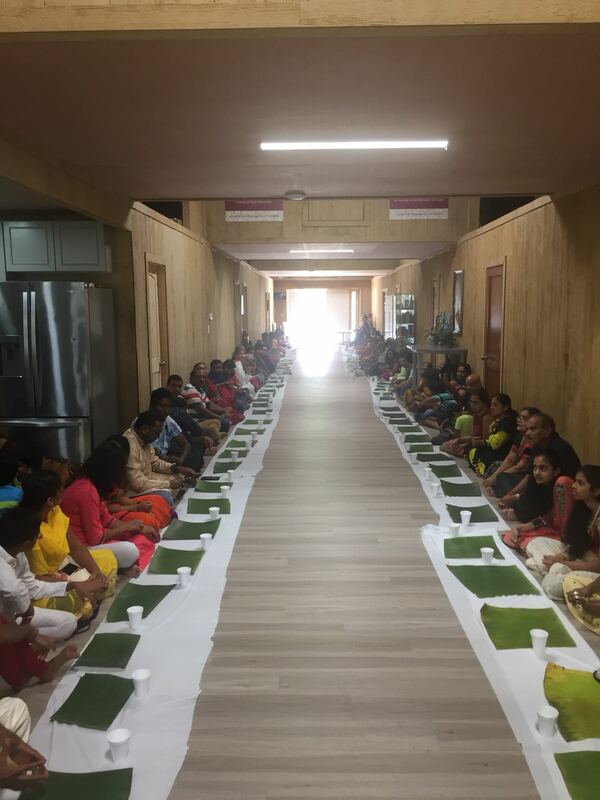 An all-day event at Yugal Kunj, the festivities began with the traditional pooja with abundant offerings and a special Prasada to everyone. The highlight of the event was distribution of Parimala Prasada and Mantrakshate from SRS Mantralayam to devotees. The Parimala Prasada and Mantrakshate are considered as blessings from Rayaru. 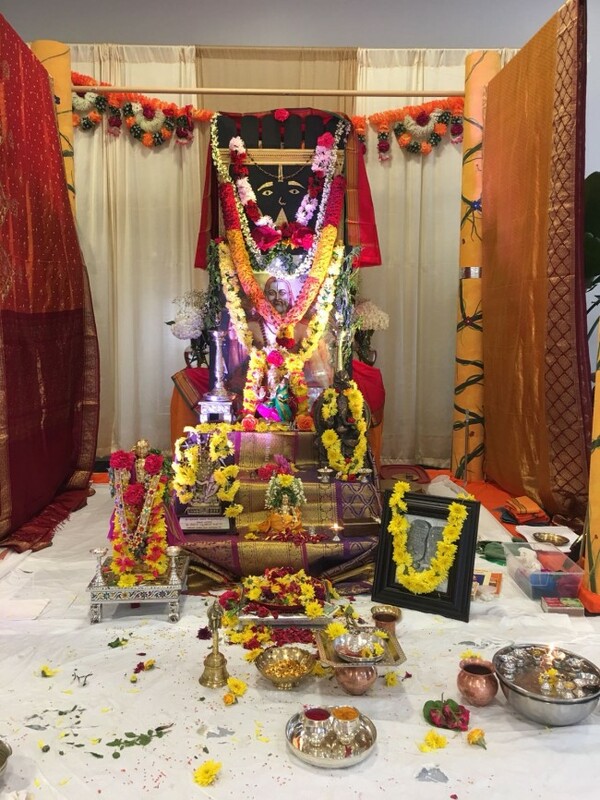 “On behalf of RAMA, I would like to thank all the devotees who made the 347th Aaradhane mahotsava of Sri. Raghevendra swamy a grand success. There were over 300 devotees who attended the mahotsava. Every year we are seeing an increase in participation. We are planning on moving forward with starting Rayara Matha from RAMA under the blessings of Sri. Subheendra theerta Swamigalu from SRS, Mantralayam, India,” said Pradeep Vittalamurthy. The cultural events included several devotional song and dance performances including Kolata and a Dashavatara dance /fancy dress program. A traditional Pallakki or palanquin procession was brought into the place of worship while a beautifully decorated Unjal (swing) awaited the Lord. Concluding with evening Aarti, the Aaradhana, which means expression of devotion, was amply displayed at the celebrations. 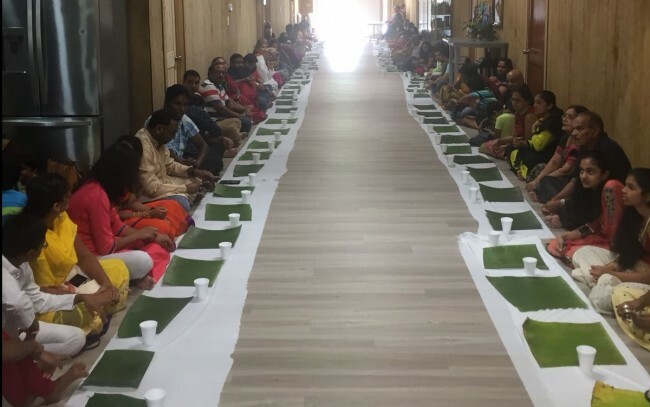 Devotees enjoyed the festivities with an added bonus, an elaborate plantain leaf traditional food spread. 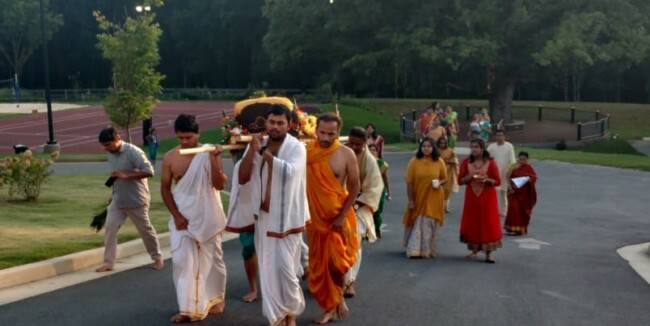 For details about the Matha you can check https://atlantarayaramath.org/. Shri Rāghavēndra was a Hindu scholar, theologian and saint. His diverse oeuvre includes commentaries on the works of Madhwa, Jayatirtha, Vyasatirtha, interpretation of Upanishads from the Dvaitaand standpoint a treatise on Purva Mimamsa. An accomplished Veena player, he has composed several songs under pen name Venu Gopala. He served as the pontiff of Madhwacharya Mutt at Kumbakonam from 1624-1871. His Brindavana in Mantralayam, Andhra Pradesh attracts thousands each year.